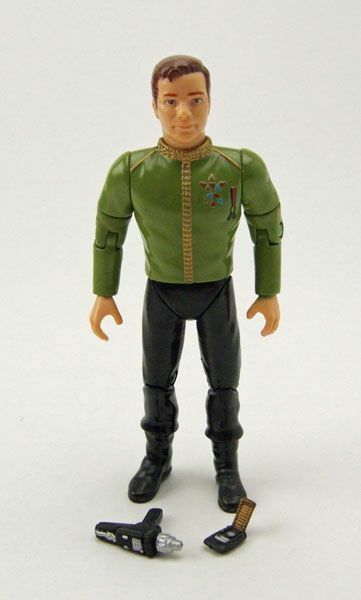 Playmates released this spiffy-looking Kirk in their Starfleet Officers Collectors Set. The Rundown: Before I get to this spotlight, I am going to get on a soapbox for just a minute. 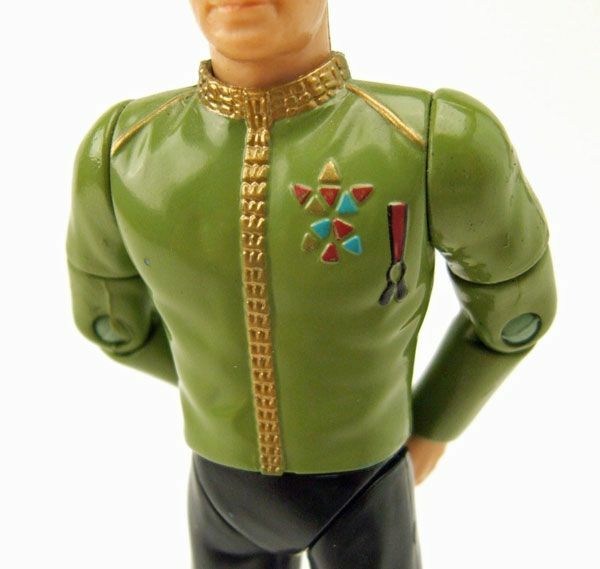 While looking at this Kirk, I started thinking about just how vast a new Classic Star Trek figure line would be if the right company came along to produce it. Think of all the myriad aliens, the multitude of crew members, and all the different costume variations that the line could mine from for possible figure offerings! Now that isn't to say that Playmates did a bad job in the 90's; I've always been a big fan of what they did back then with the license. But I'm talking about a modern line, with today's standards of articulation and sculpting. Something like the current vintage-style Star Wars figures- 3.75" scale with great sculpting and a perfect range of articulation. 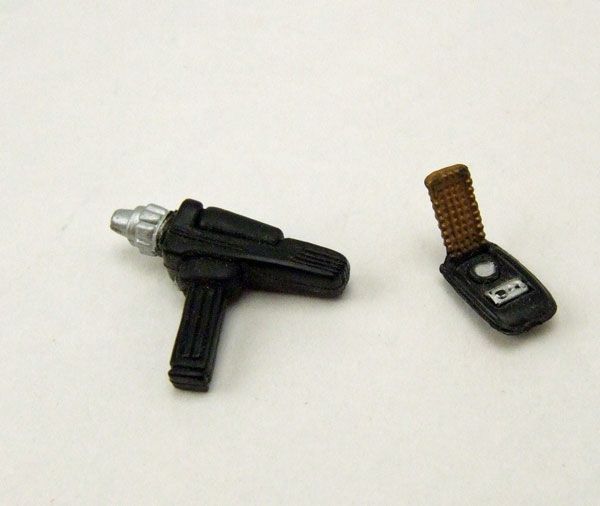 Plus, that size is perfect for vehicles and playsets, and who wouldn't want a Classic Shuttlecraft scaled to their figures? 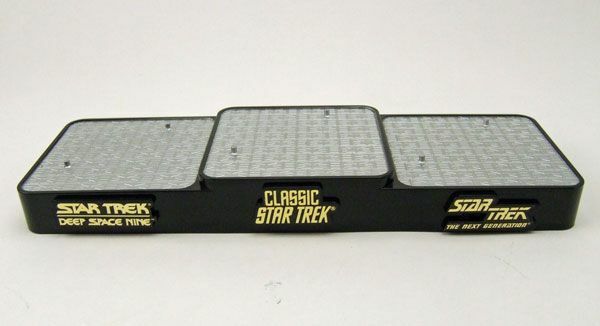 Or a bridge playset? This line could even mimic the vintage-style Star Wars figures a bit by giving the packaging a vintage look, incorporating photos from the show and maybe even some Gold Key comic elements. Just like when Kenner revived the Star Wars line back in 1995, all it would take is a company that's willing to put the resources into making the line into something worth collecting. Done right, there's absolutely no reason why that line wouldn't be a hit. Okay, rant over. Let's take a look at this Kirk! 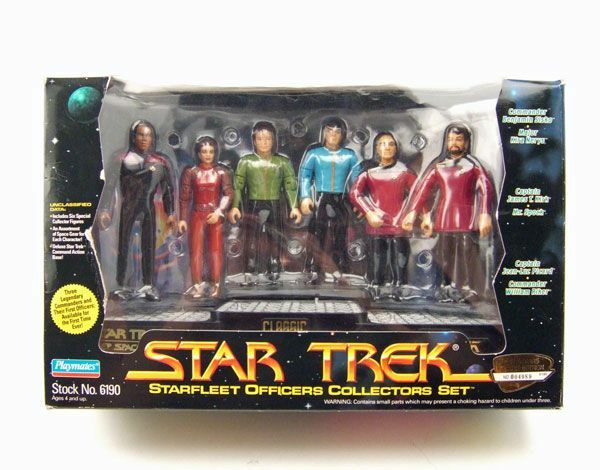 Always looking for ways to get the main crew members out to the masses, Playmates devised the ingenious Starfleet Officers Collectors Set. The pack offered 6 figures, 2 from each of the shows created up to that point. Each pairing featured the captain/ commander and their second in command. From Deep Space Nine, there's Commander Sisko and Kira Nerys, Captain Picard and Commander Riker are included from The Next Generation (both of whom are wearing skirts), and last but certainly not least- Captain Kirk and Mr. Spock from the Original Series, both garbed in dress uniforms. What makes the pack both ingenious and frustrating at the same time is the exclusivity of the uniforms. 4 of the figures in the set were only released in this manner. 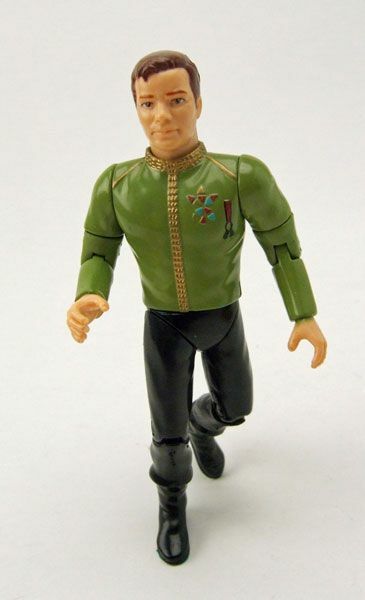 So if you wanted dress uniform versions of Picard, Riker, Kirk, or Spock, you had to buy this set. 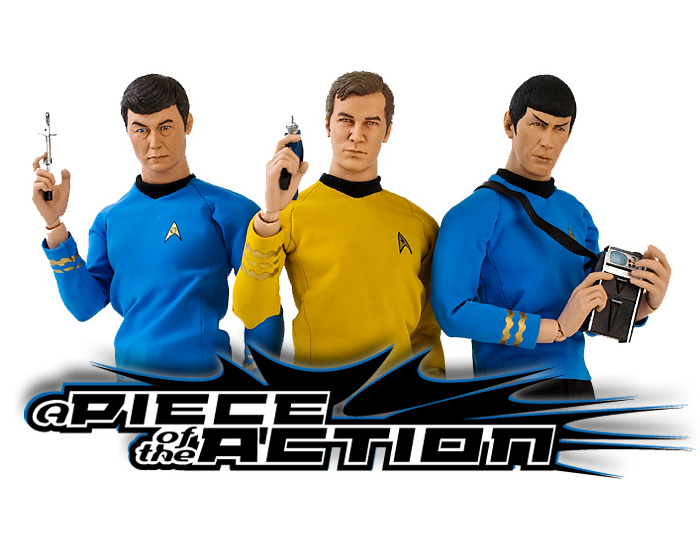 Being a TOS guy myself, I really didn't have much use for the others, so I paid the full price of the set for 2 figures. Actually, I paid it twice since I wanted one to open and one to keep sealed. And that was back at full retail. Ouch. I guess the set isn't as bad for someone who collects all eras of Trek, but even then the Sisko and Kira are straight reissues. 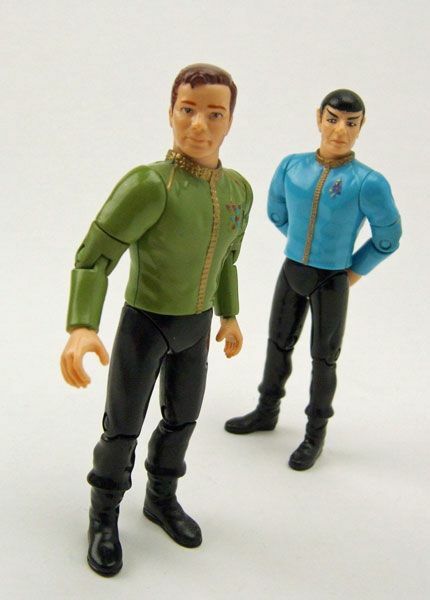 So if you did happen to collect all the different Playmates Trek lines, you probably already had those two. See? Ingenious for Playmates, frustrating for collectors. The Kirk figure itself is pretty decent, but not without issues. 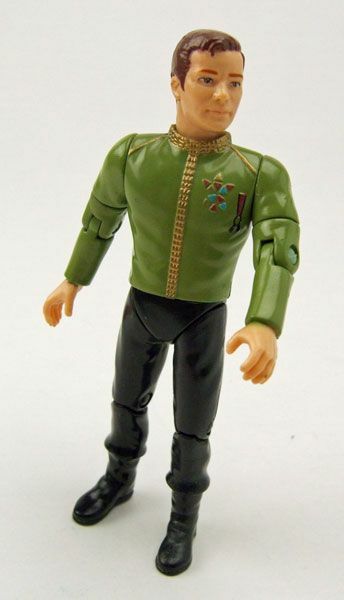 The head sculpt is the same as all the other TOS-era Playmates releases. By now you should know that I don't really have any issues with this sculpt. 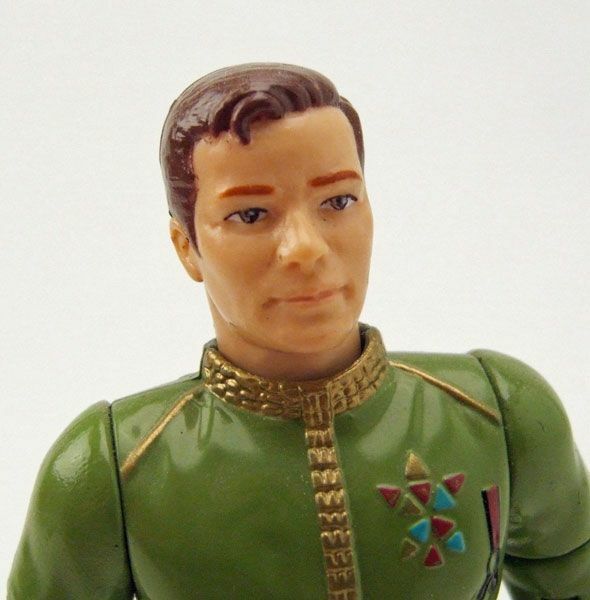 It's a strong Shatner likeness even by today's sculpting standards. 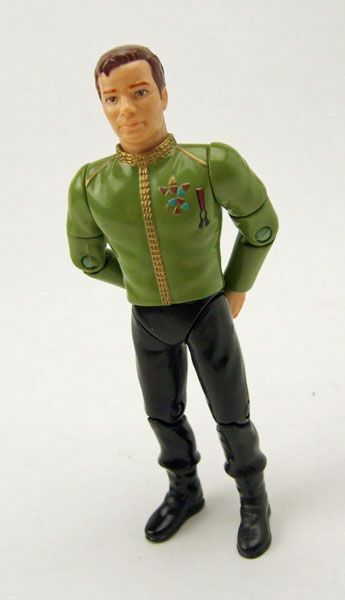 The figure features a new chest mold which replicates the dress uniform quite well. The gold trim features a raised texture, and each of Kirk's medals is individually sculpted. It's nice to see Playmates not cut any corners here. While the nature of the pack may be a little off-putting, getting the crew in their dress uniforms is a pretty cool subset in my eyes. 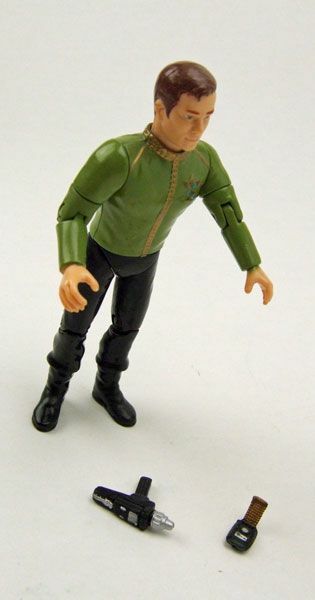 Kirk was later released in his dress uniform a couple of times by DST, but since Spock and McCoy were only released in their dress uniforms by Playmates, you'll need to go that route if you want to have all 3 in scale with each other. Since the pack goes for around $20 nowadays, it's going to be a personal debate on what value you place on the rest of the figures in the set. 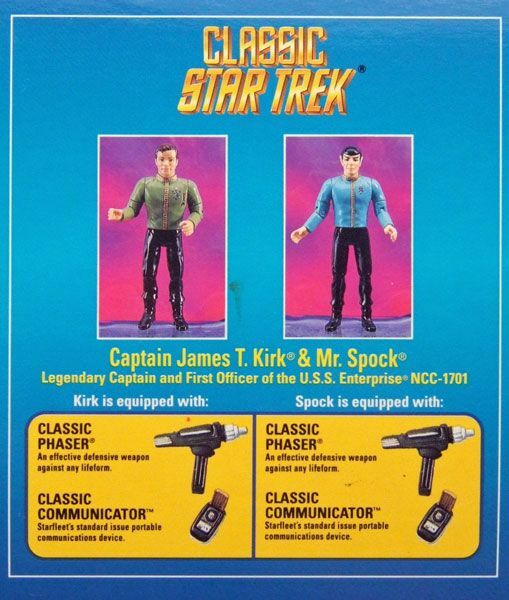 For me, the Kirk & Spock are worth $10 each and the rest are just freebies... but maybe that's just me. Although I recently gave away all my ST figures, this line by Playmates is one of my all-time favorite toy collections. I only wish it had gone on 1-2 more years to get a full set of original series characters. I still remember seeing that Bele 4.5" figure at Toy Fair and lamenting that even it was never produced.